A few years ago I was looking for a tall bike. After checking out the geometry specs from the various manufacturers, I started to get discouraged. It seems large bikes don’t coincide with a large enough market to draw the attention of manufacturers. Oddly, however, there was a period, the 1980’s approximately, when there were some manufacturers making tall frames. Look hard enough, and these old frames can still be found today in the various classifieds. I, however, had a stroke of luck at my local Recycle Cycle shop. 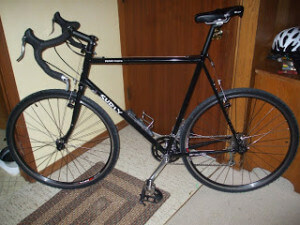 I was inquiring about bikes when they rolled out an old 66cm Norco Monterey 12 speed road bike with 27″ wheels. They were just as pleased as I was as the bike had a long time been awaiting a sufficiently tall suitor. The bike was just the right thing for me to start biking again and served me well. However, there are some issues with it. For starters, the frame has been made taller without increasing the size of the tubing. 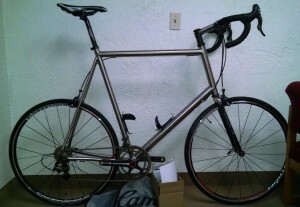 The old horizontal top tube design exacerbates the issue as it results in a massive triangle not conducive to stiffness. I didn’t realize it at the time, but riding it some years later I can really feel the frame flex. Besides the frame geometry, nothing about the bike is for the taller rider. 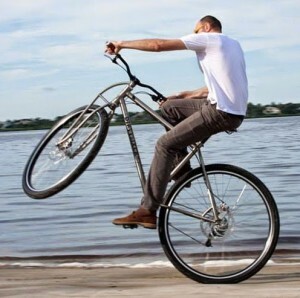 Most notably, the handle bars are way too narrow and the cranks too short. Furthermore, the frame is very square; the top tube has been raised with minimal lengthening, not so good for the tall rider who wants to get arrow. All that being said, it’s a great bike for a tall person getting started riding. 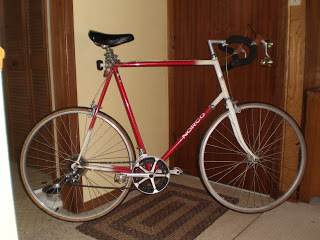 I have a road bike I bought new in 1983. 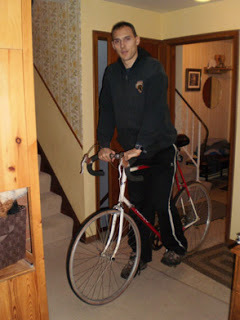 Although I was told the 27″ frame would be a better height for me given my long legs (37″ inseam), I was advised to get the 25″ frame and use a seat extension post. This reduced the problems with flex. Like you, I also found that the top tube was also not sized up. For me, that was an advantage. 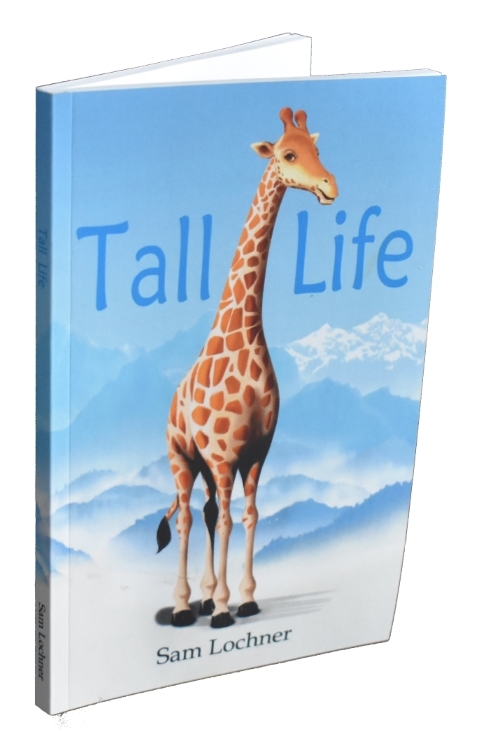 As a tall woman, I have a relatively short torso compared to my legs. In the years since, I’ve tried to buy a newer, more lightweight bicycle to no avail. They don’t make them with the weird frame geometry I need. The bicycles I have found that were tall had top tubes that were much too long for me. I couldn’t reach the handlebars. I haven’t been willing to spring for a custom frame. That’s tricky. 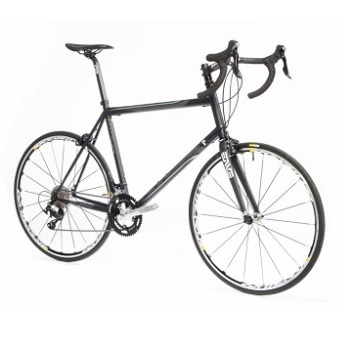 Something like the Flite 747, which is an awesome bike for tall people, would have too long of a top tube for you. Is this the case even if you use the shortest stem out there? Perhaps with flat handle bars so you aren’t stretching out onto the hoods? I’m guessing you would really appreciate the 200mm cranks given your 37″ inseam.